Map design that resembles classic deathmatch maps? Check. Lava? Check. Red-clouded skies? Check. Grey stone walls? Check. 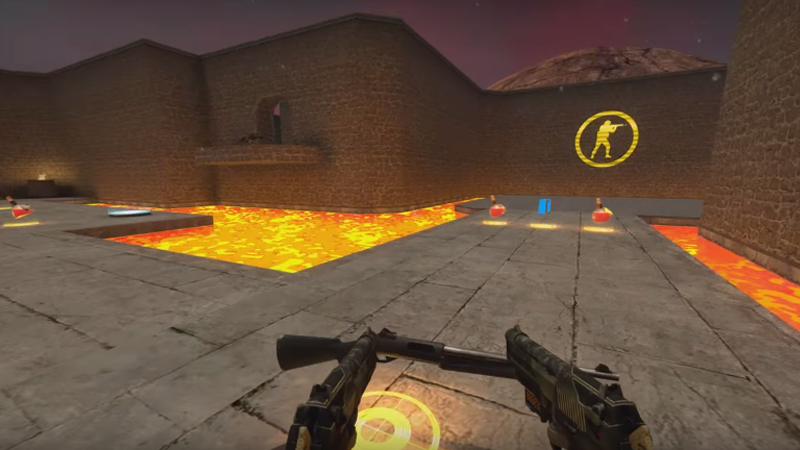 Zool’s custom CS:GO map, F4ST Castle, is a pretty good attempt to recreate everything that made Quake good. Looks like a fun place to mess around where even enabling auto bunny hop would be acceptable.